Create great looking magnetic business cards at home! Choose from two formats to suite your needs. 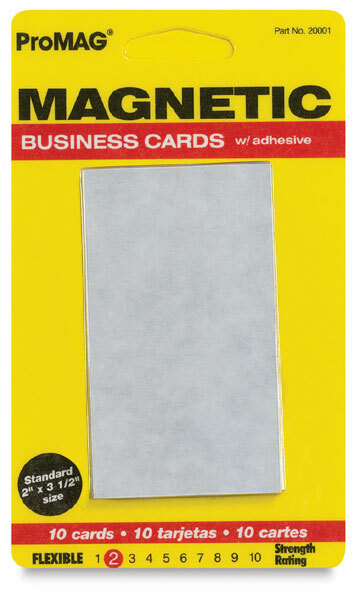 The 2” × 3½” magnets have a peel & stick adhesive surface perfect for attaching pre-printed business cards. The 8½” × 11” magnetic sheets have a printable surface and are scored for easy separation. Works with standard Avery template.